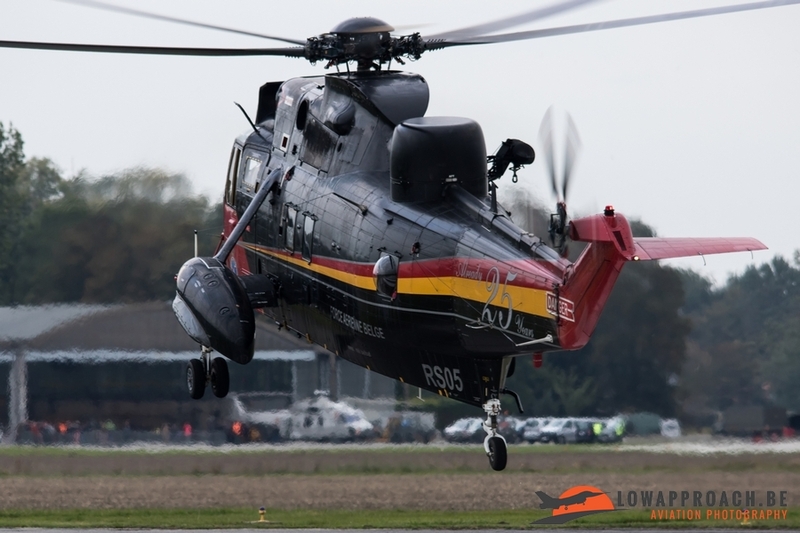 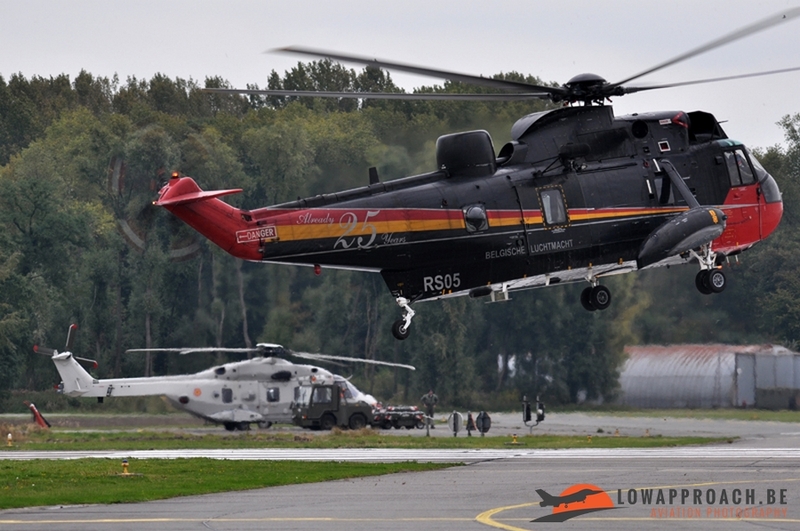 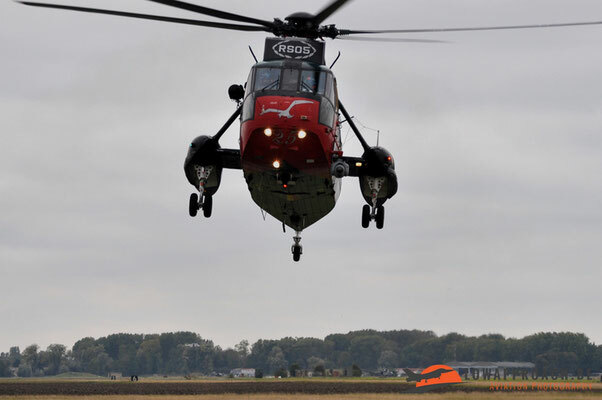 From the 10th of October until the 14th of October the International SAR-meet was held at Koksijde Airbase in Belgium. 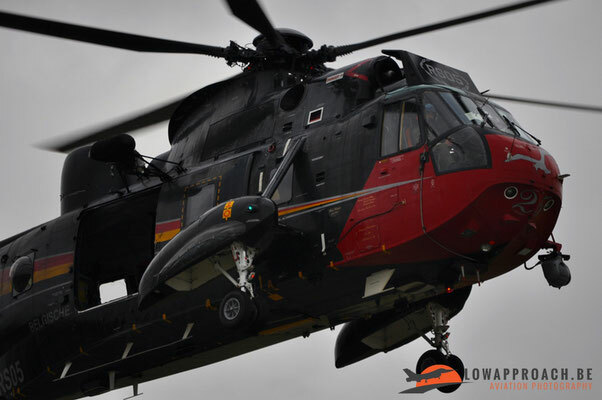 SAR stands for Search and Rescue and basically this means that the squadrons tasked with this mission, have to search, find and rescue downed or missing persons. 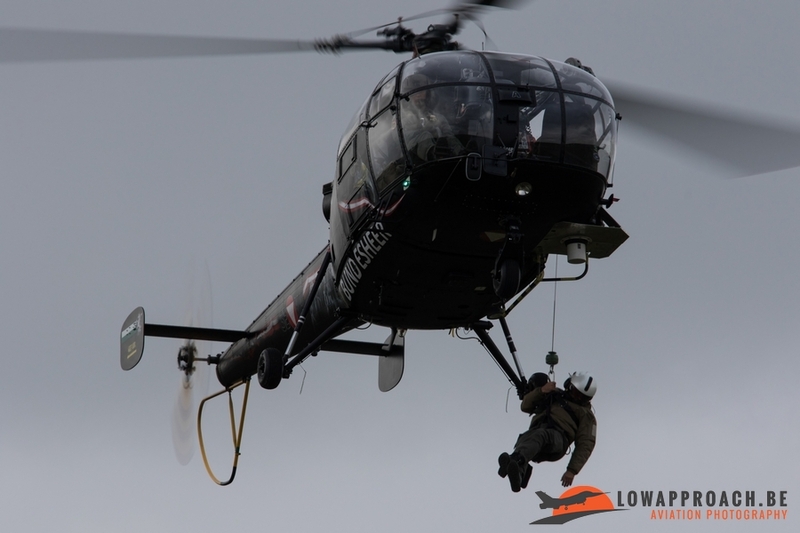 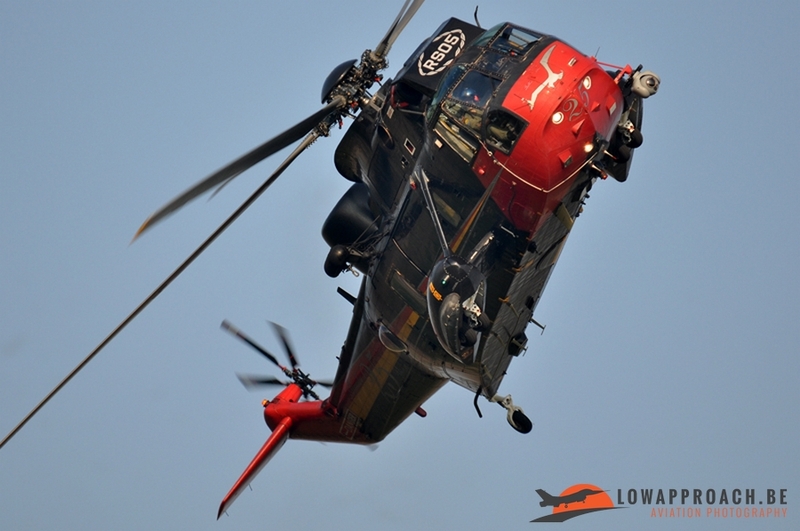 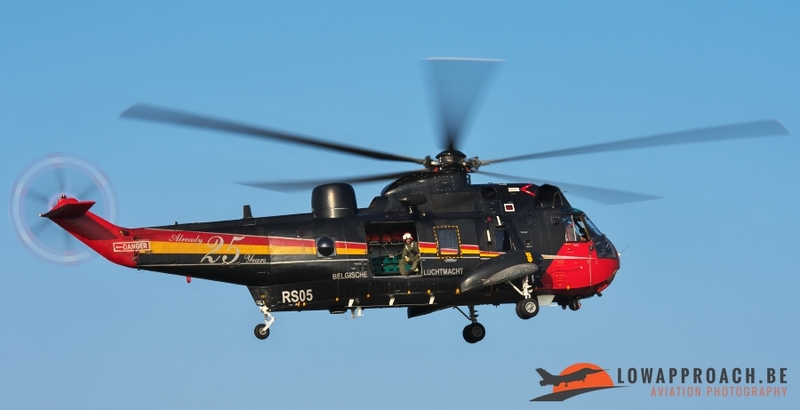 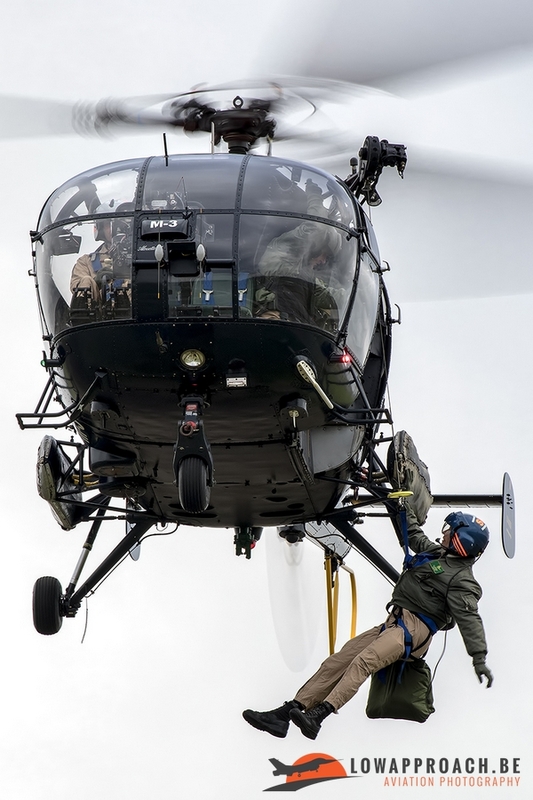 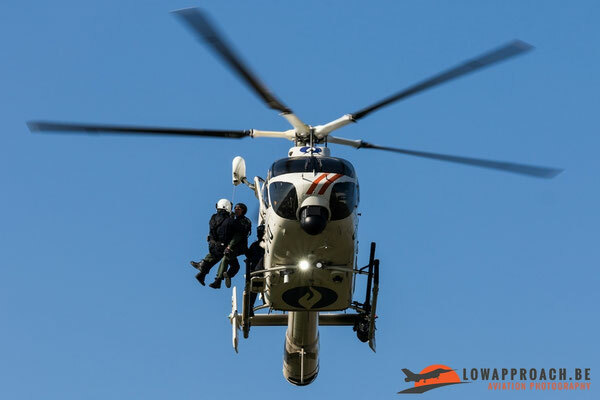 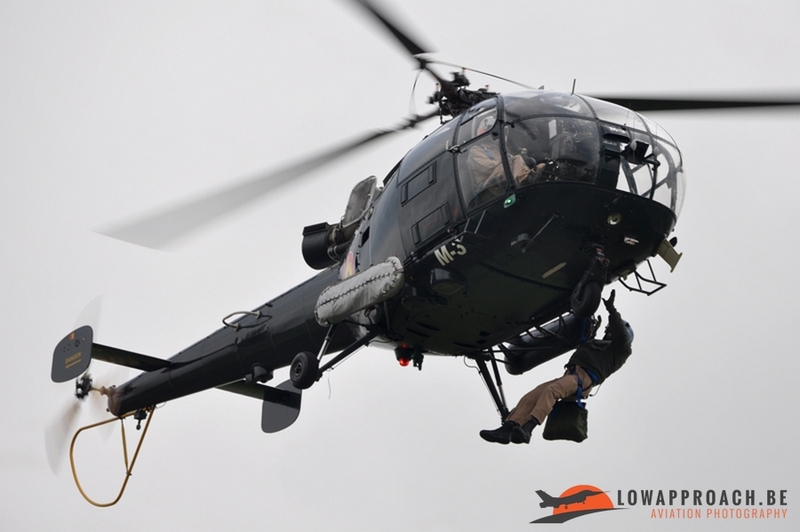 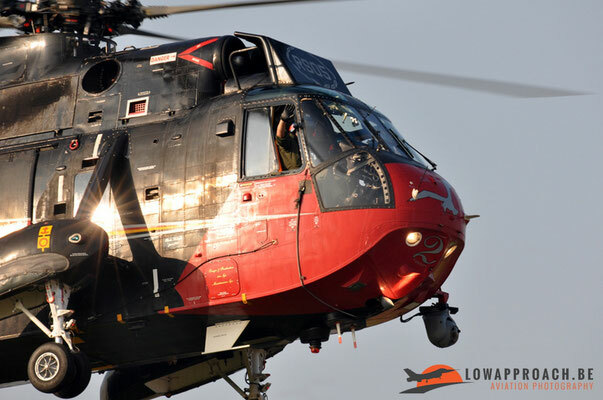 SAR squadrons are mostly equipped with helicopters because this is the best possible platform to find and evacuate persons thanks to its ability to hover on the same spot. 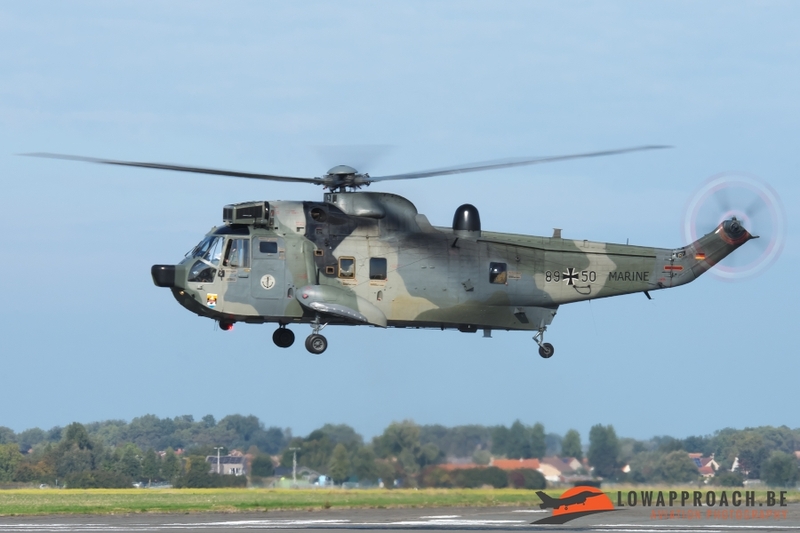 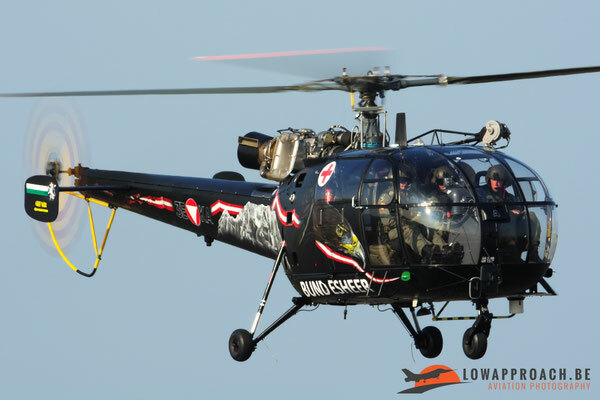 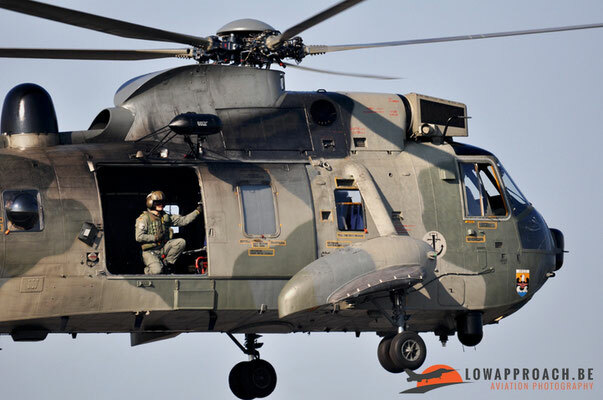 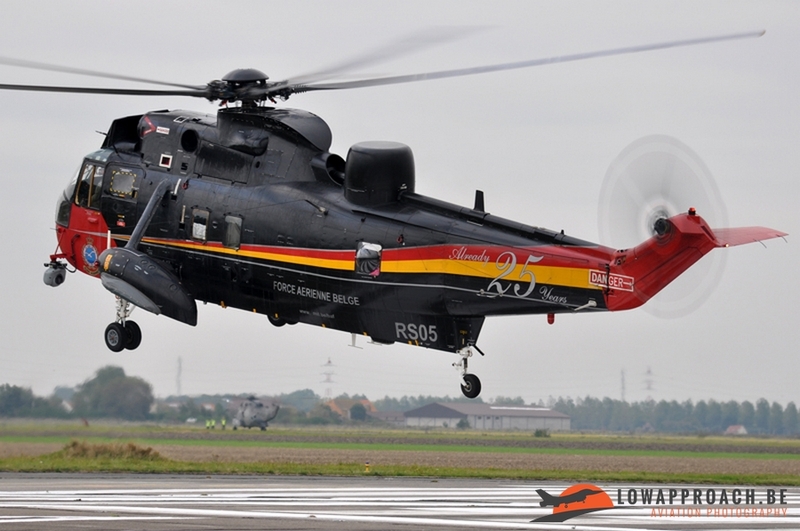 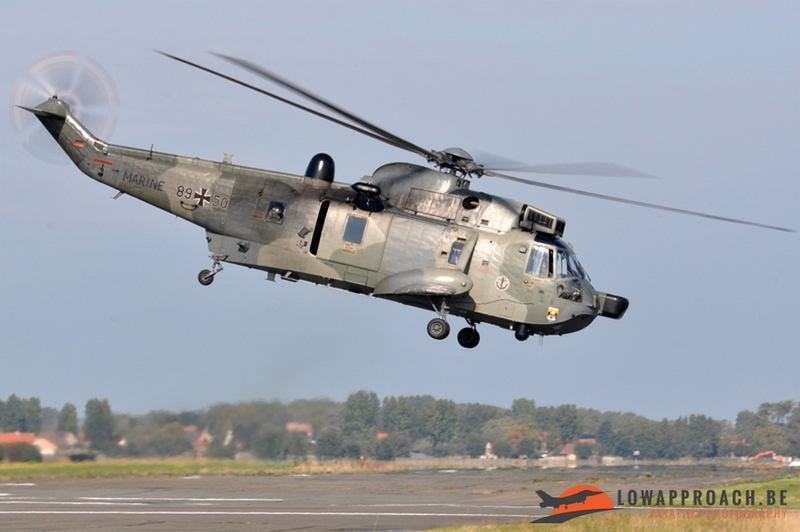 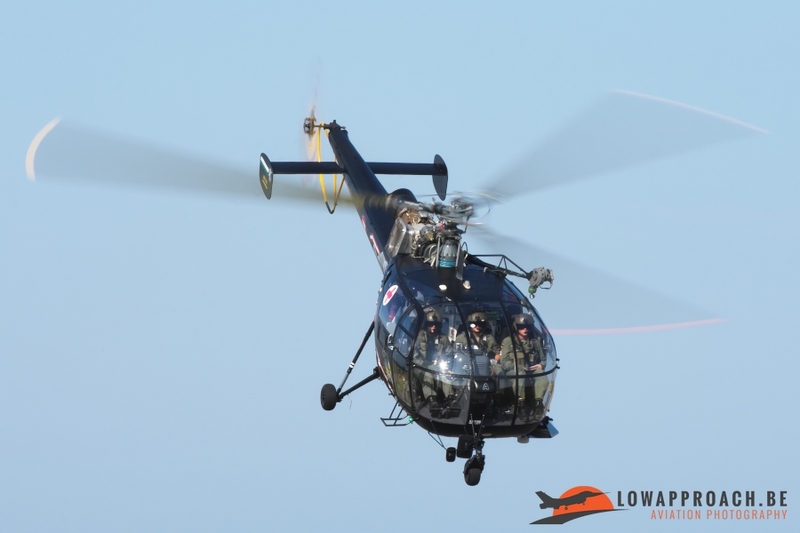 Koksijde is the home base of 40th squadron and they currently have 3 types of helicopters in use. 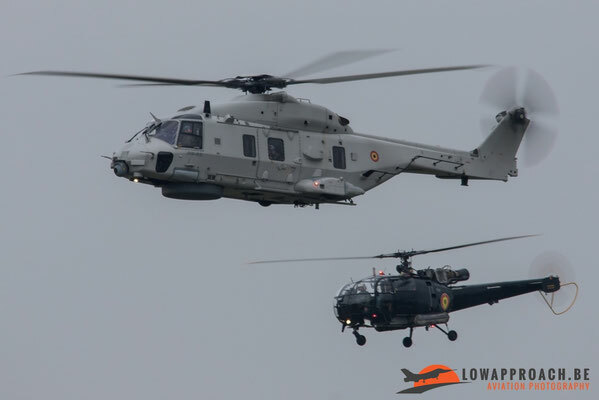 The Aerospatiale SA-316B Alouette III, the Westland Sea King Mk.48 and the newest addition and operational since last year, the NHI NH-90NFH. 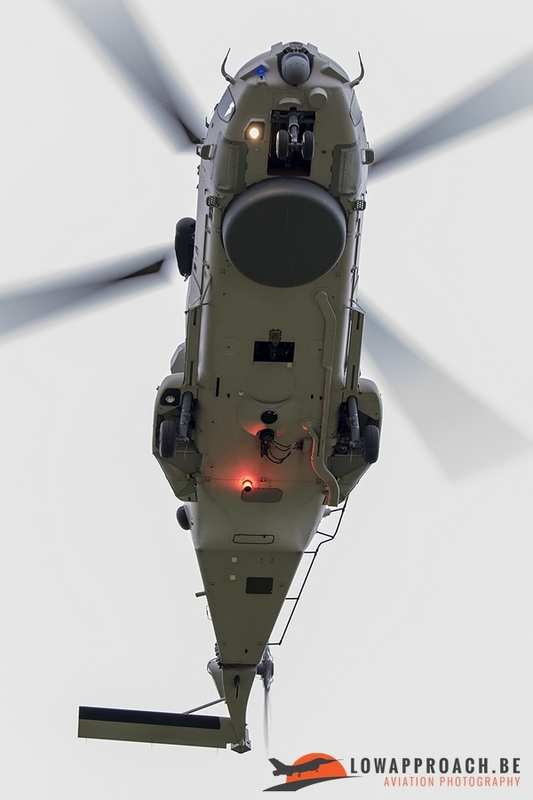 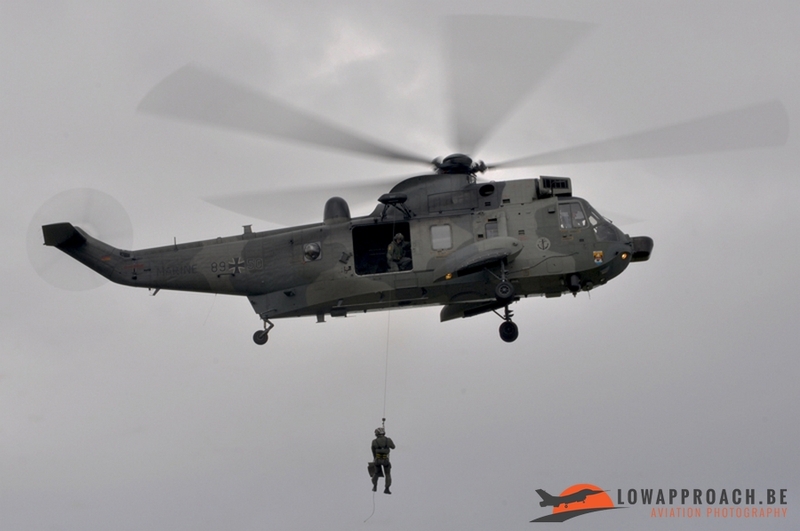 Although only 2 types are mostly used for SAR standby duty, the Sea King and the NH-90NFH. 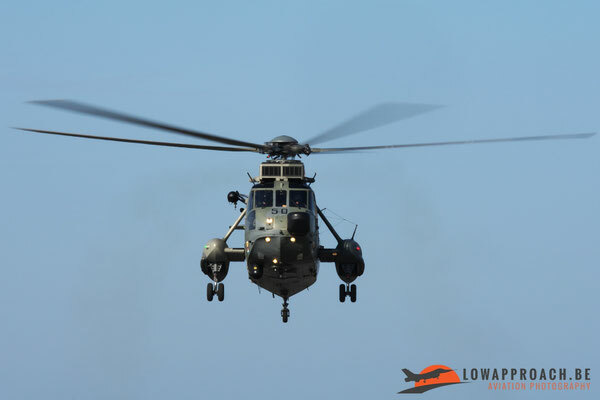 The Alouette III is currently mostly used for “on sea-work” on frigates and provides logistical support for the fleet on sea. Alouette III managed to participate at the SAR-meet. 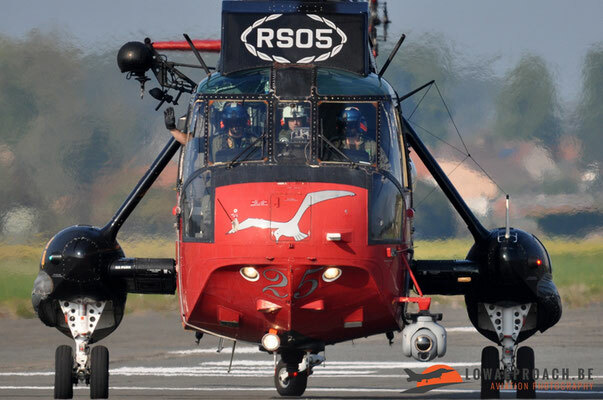 During the week from the SAR-meet, 2 flying days were planned. 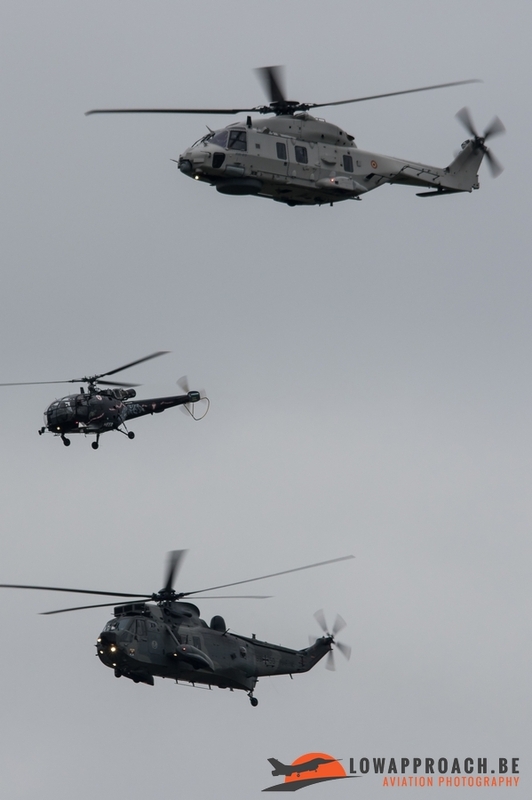 The first one was on Tuesday. 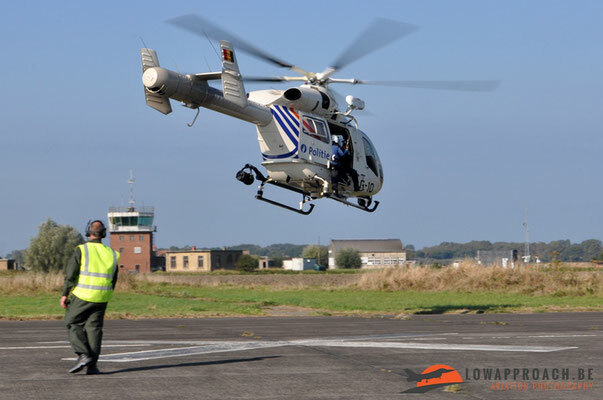 The purpose from this flying exercise was that the crews had to make a navigation flight through the province of West-Flanders and had to locate various monuments from the Great War as this was the main theme for the navigation flight. They had to locate each given location as fast as possible to set the best time. 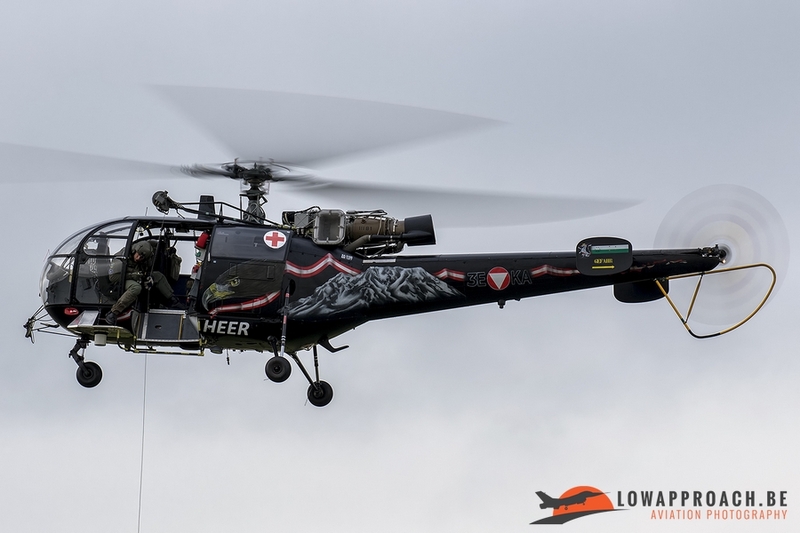 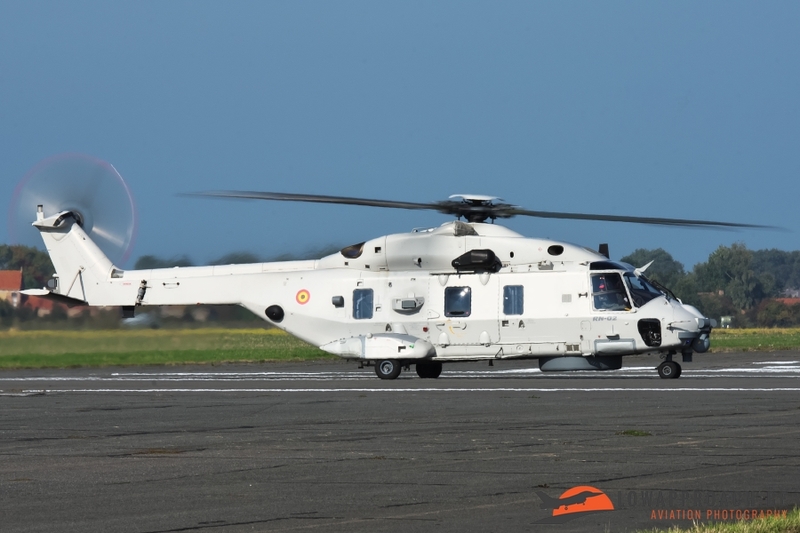 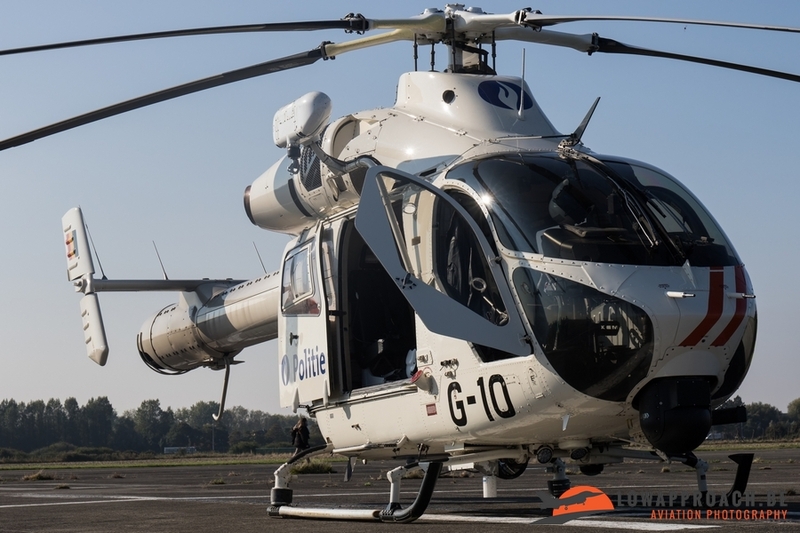 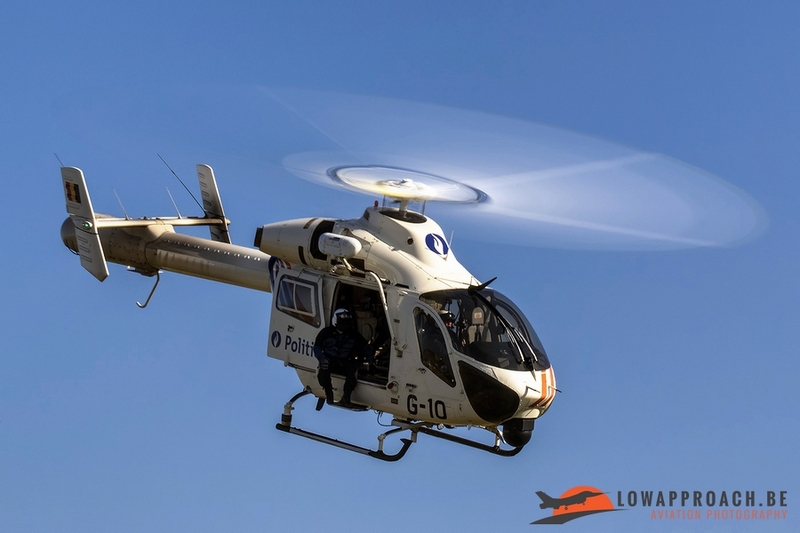 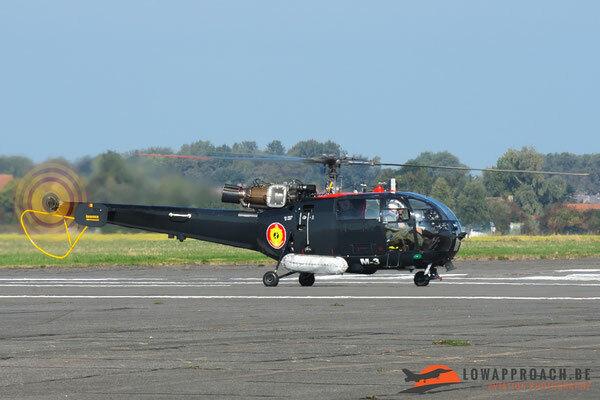 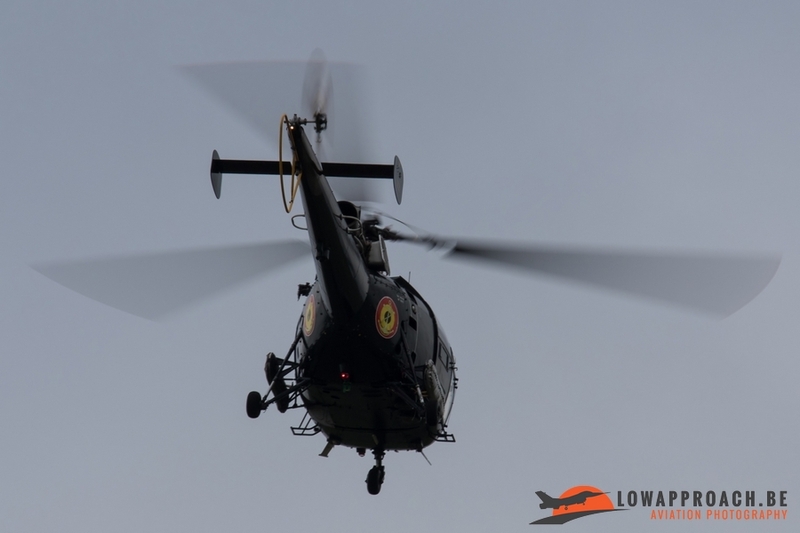 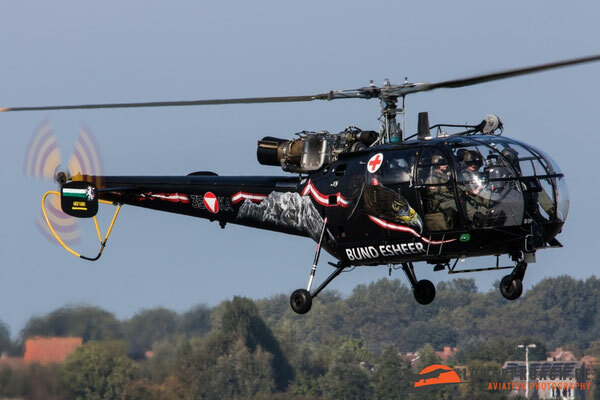 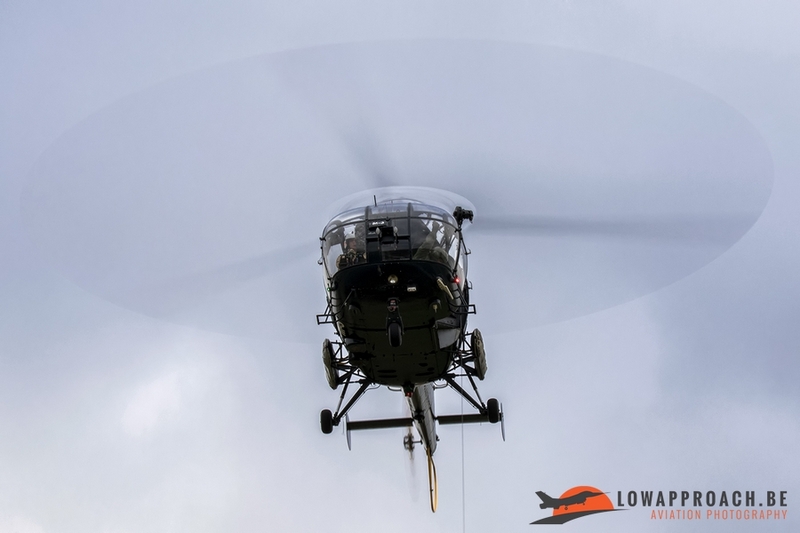 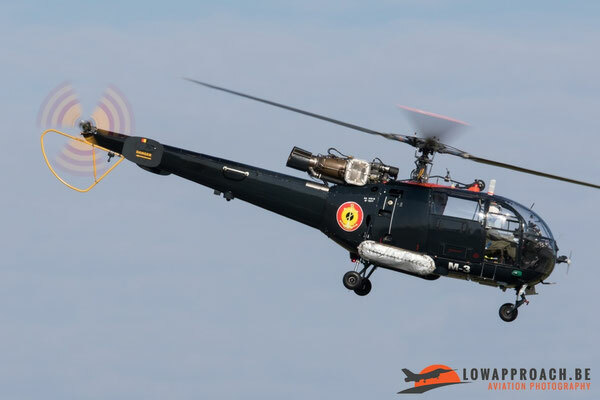 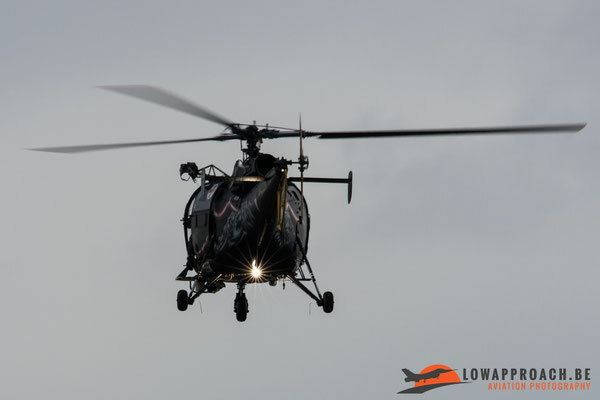 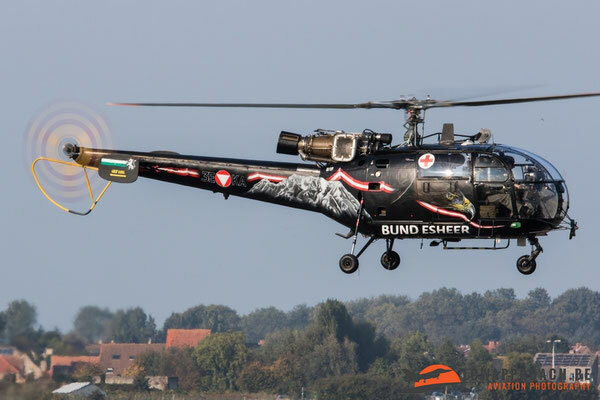 During the first flying day, the organization also organized a spotters day for the aviation enthusiasts so that they had the chance to see the participating helicopters more up close. For this spotters day you had to pre-subscribe because the places were limited to 400 persons. 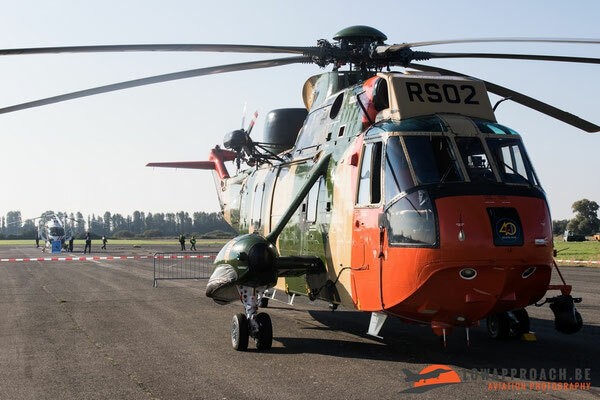 Before we could enter the static area we first had to be checked if we were on the spotters list and afterwards we received our goodie-bag which contained several items about the SAR-meet, the 40th Squadron and their helicopters. Then we quickly underwent a security search and afterwards we could photograph the small static area. 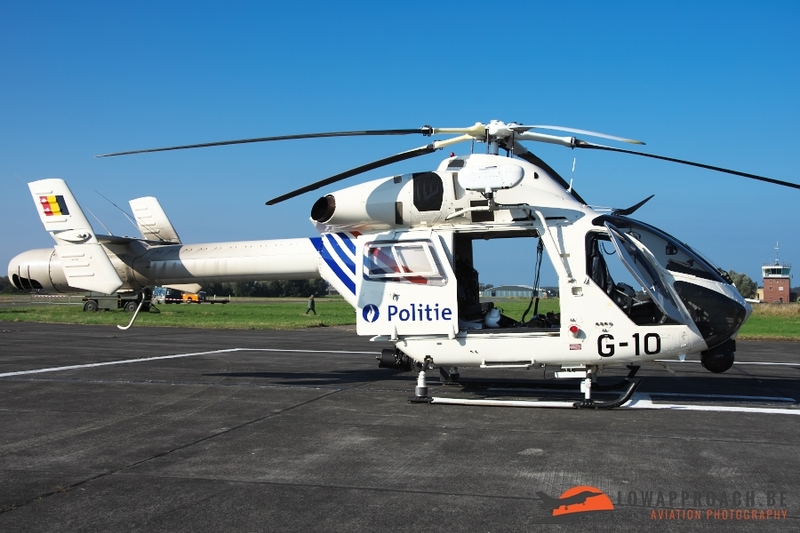 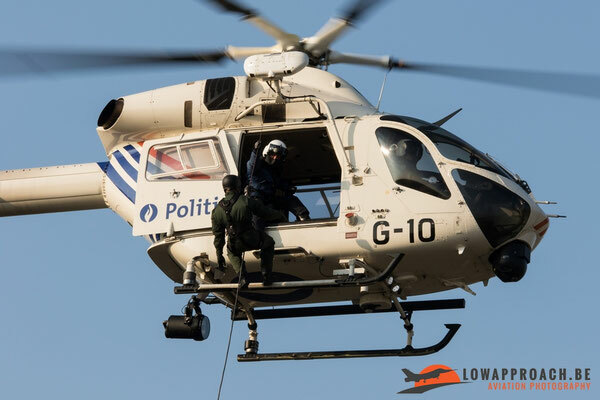 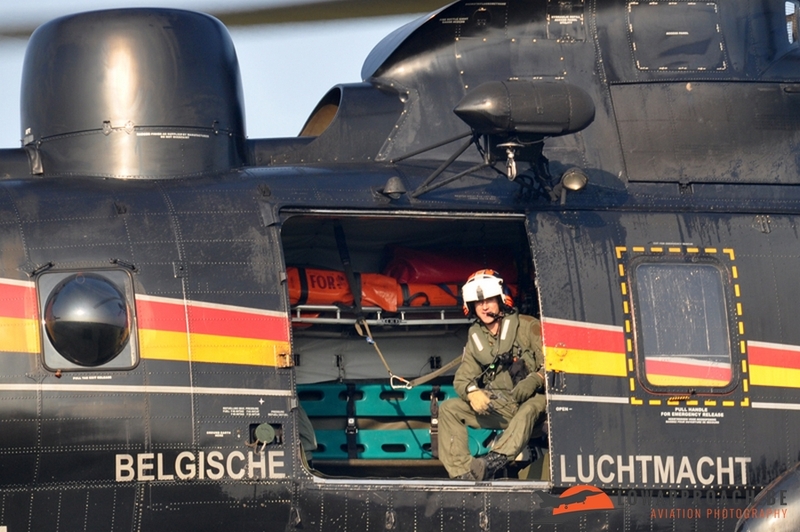 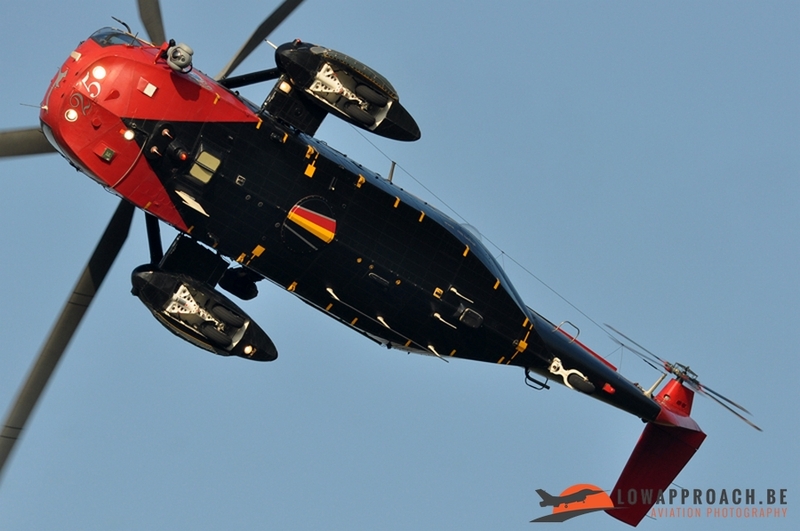 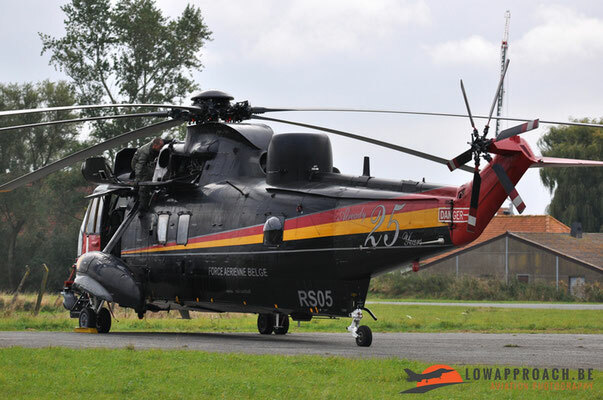 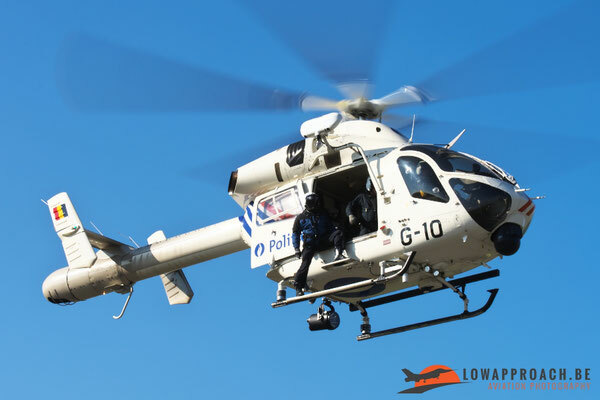 On static were a MD-900 from the Belgian Police and a Belgian Sea King with special markings. 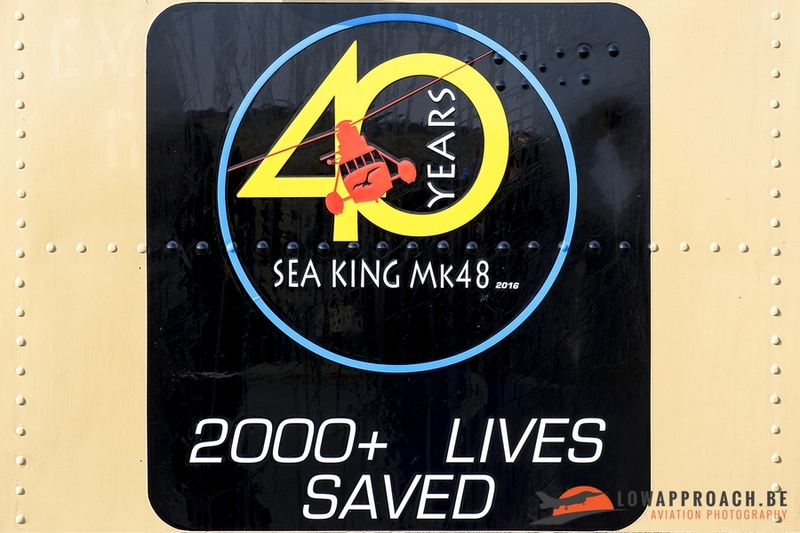 These markings were applied to celebrate the 40th anniversary from the Sea King in Belgian service. 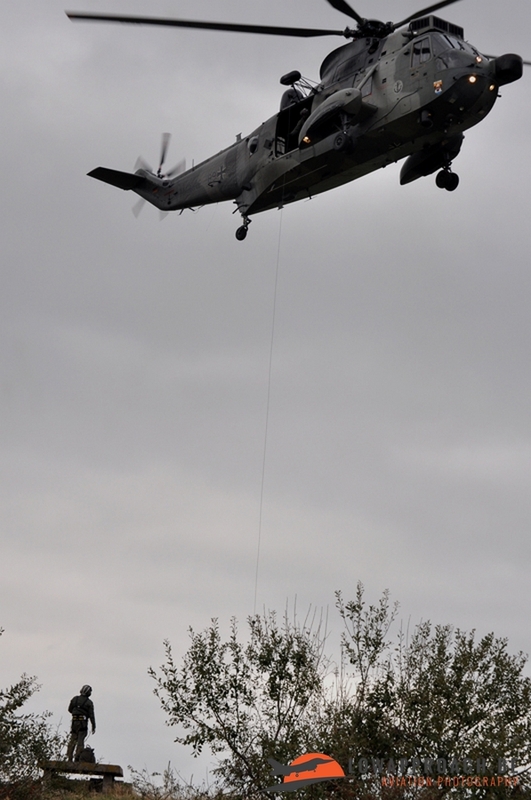 Around noon the MD-900 performed a SAR demonstration. 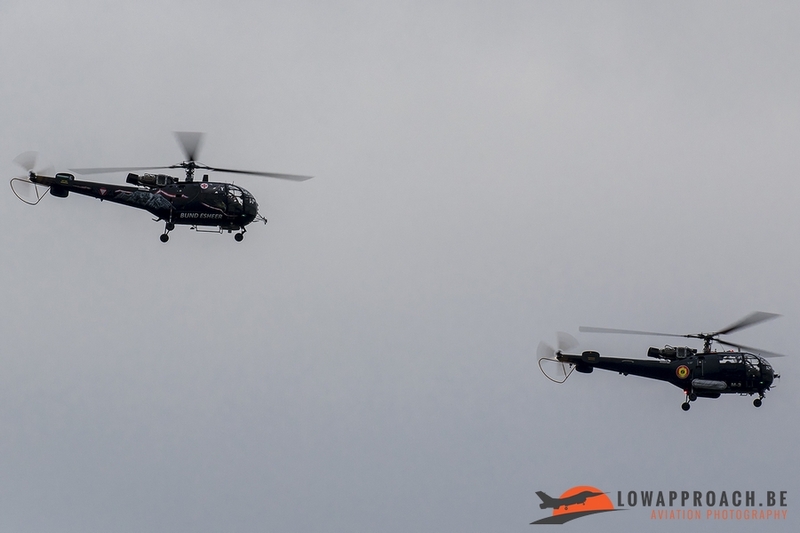 A nice extra was that this demo was held above the spotters area which meant that we could make some nice pictures while the helicopter flew over our heads. 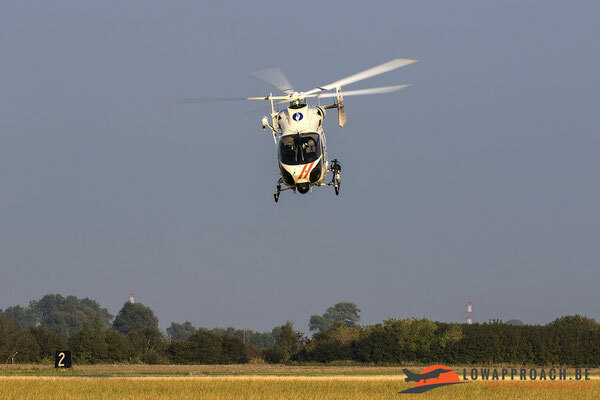 In the afternoon the flying activity for the SAR participants started. For this spotters day we were positioned on the Southside of the field, near the crossing from the 2 runways. We couldn’t have hoped for a better position because now we had the sun in our back for the entire day. And the weather also couldn’t have been better, clear blue skies and a pleasant temperature made it a really enjoyable day. 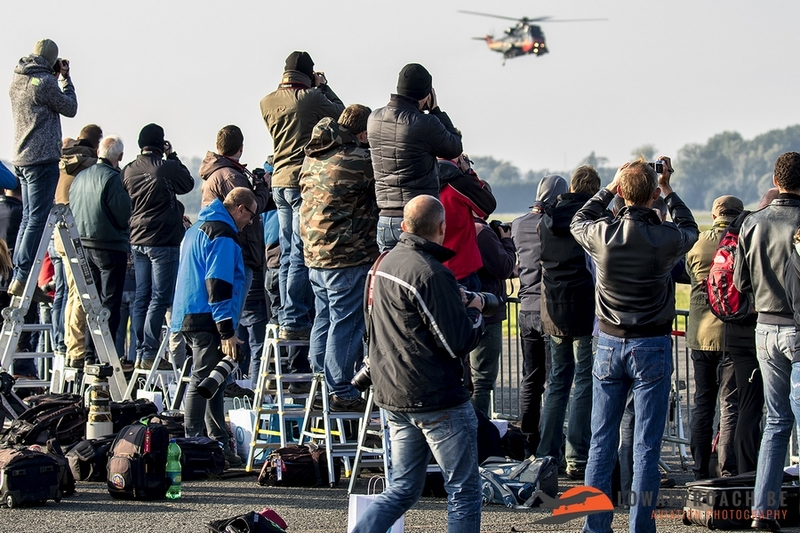 Before all participating helicopters took off for their navigation flight they first presented themselves in front of the spotters, this gave all the enthusiasts the opportunity to make some nice pictures of them. 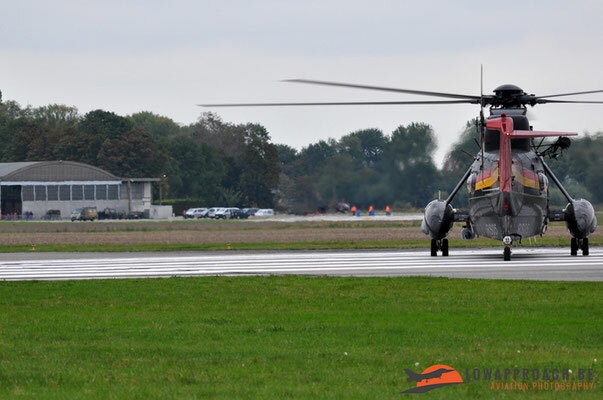 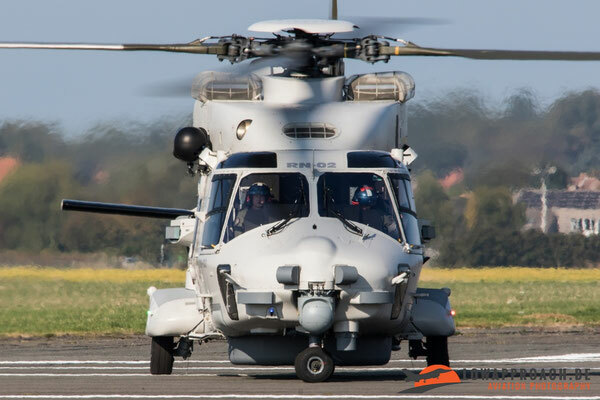 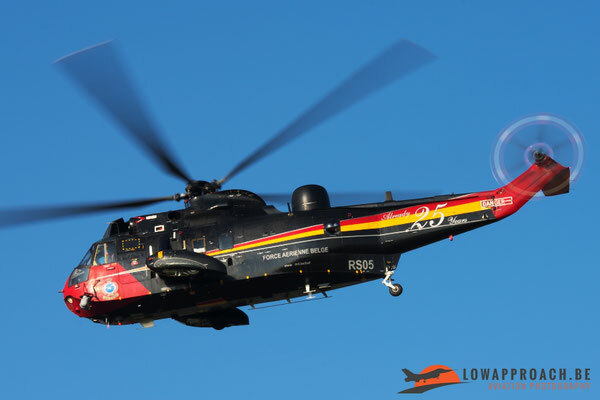 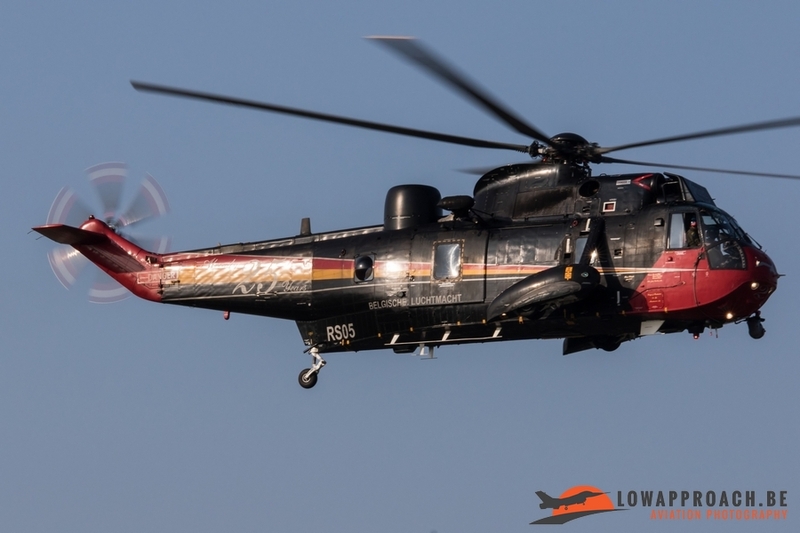 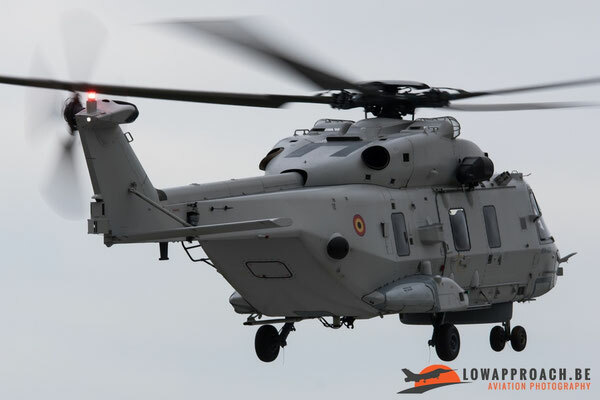 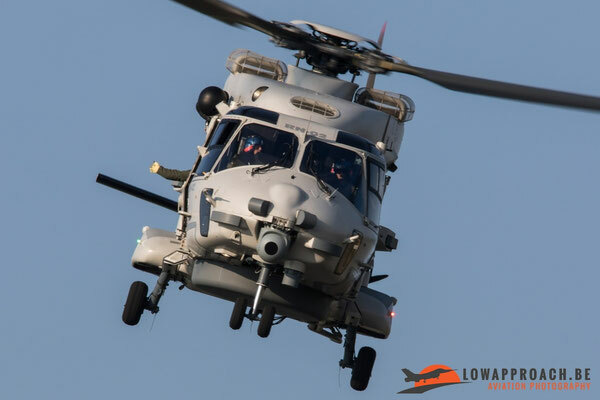 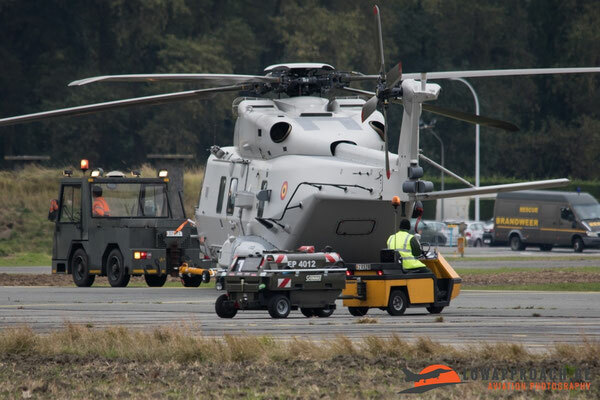 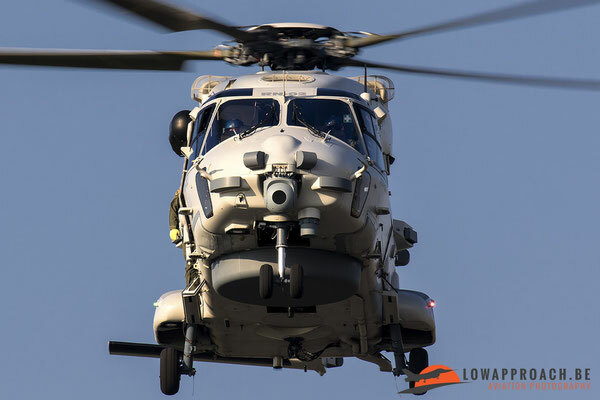 And when the helicopters returned they performed some nice fly-by’s before landing and the Belgian NH-90NFH and Sea King Mk.48 performed a really impressive dynamic SAR-demonstration in front of the spotters. 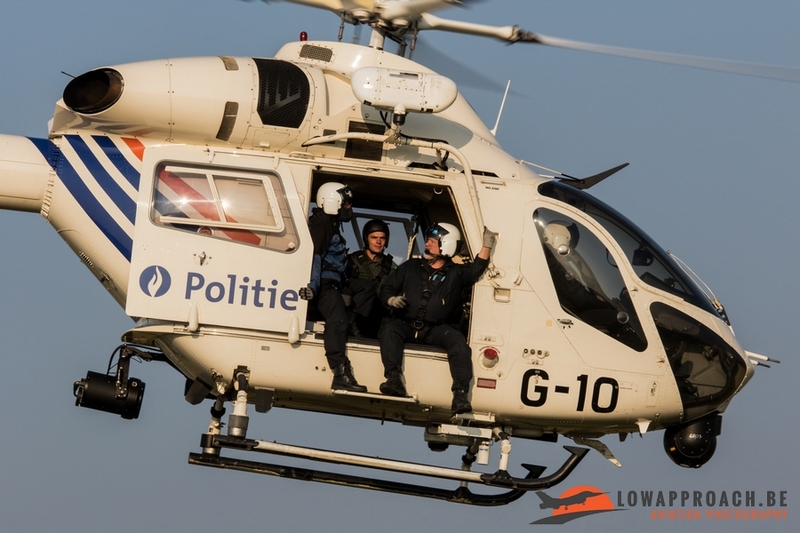 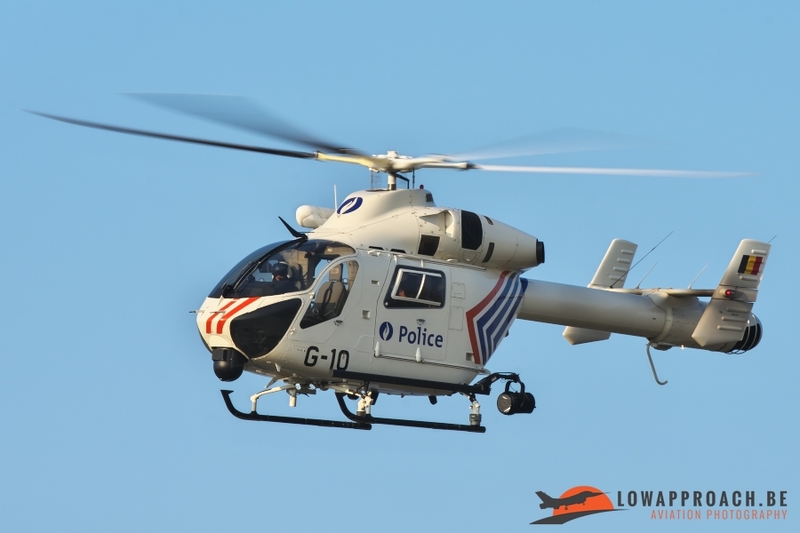 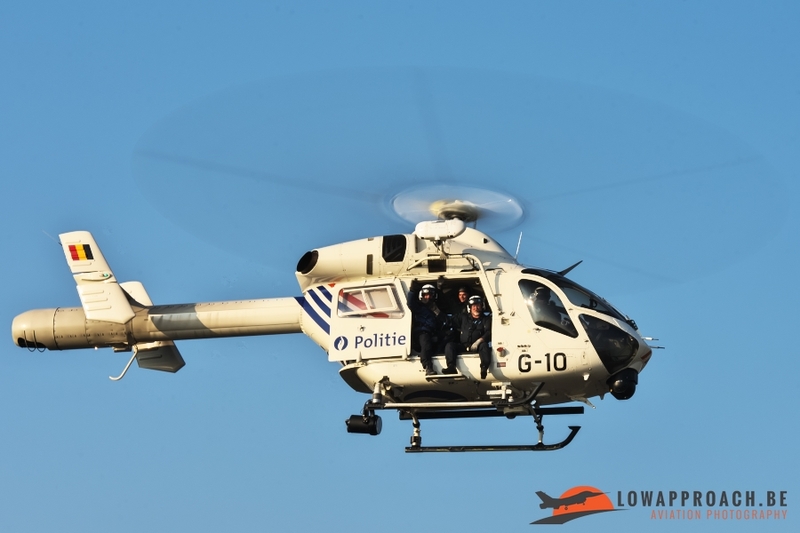 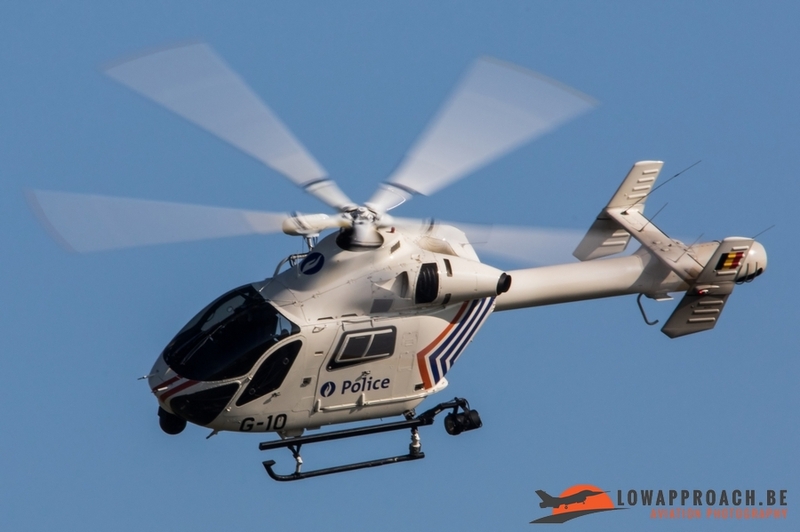 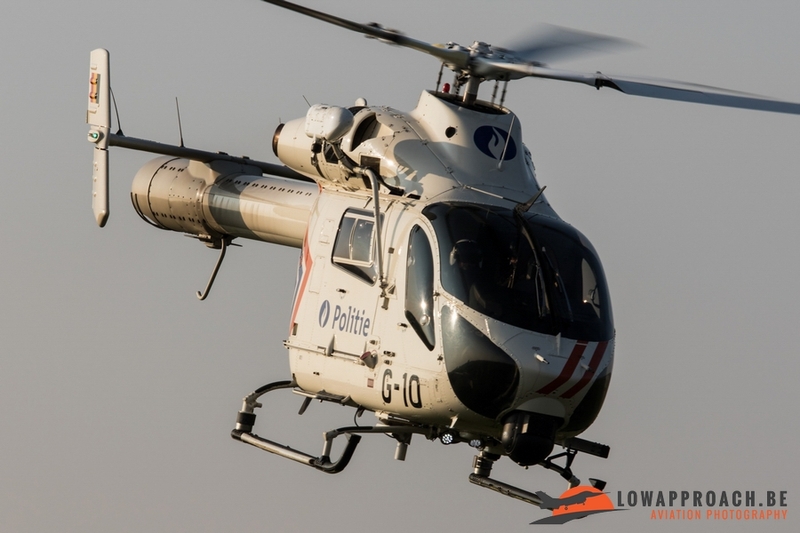 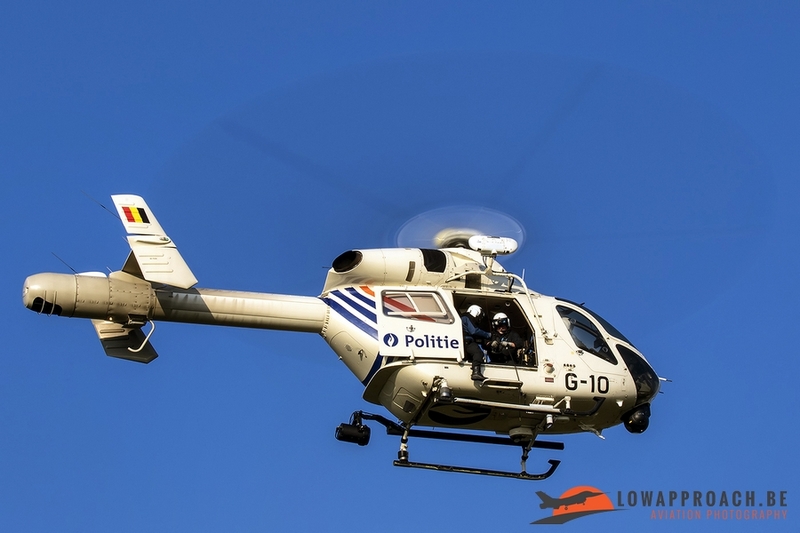 To conclude the spottersday the Belgian Police MD-900 once again took off for another SAR demonstration and it also pleased the spotters with a couple of really low fly-by’s! 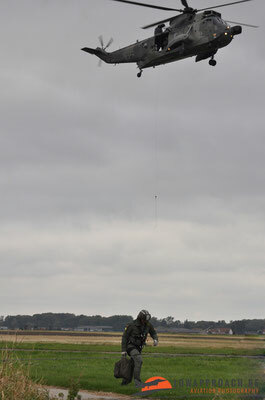 On Wednesday Lien, Dirk and Tim went back to Koksijde air base, but this time they made pictures from outside the base. On Wednesday afternoon a winching exercise was planned. 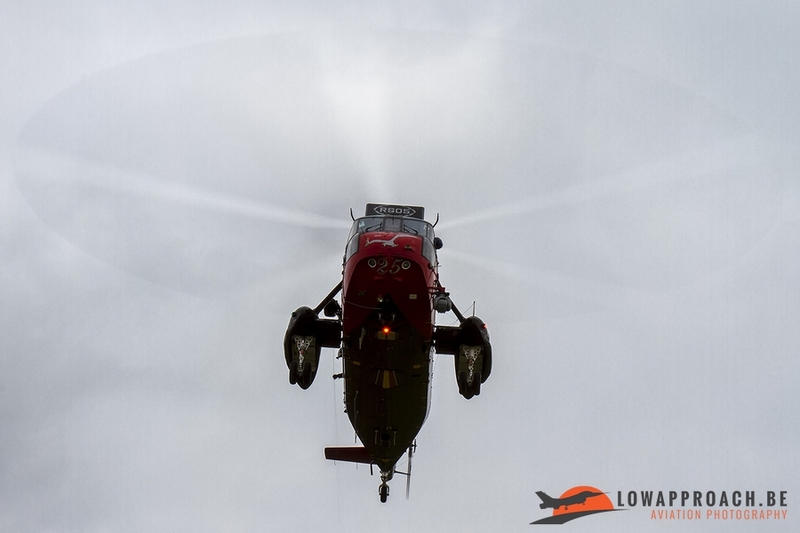 From the place where we stood, the only thing we could see was that a crewmember was winched down and had to pick up a bag. 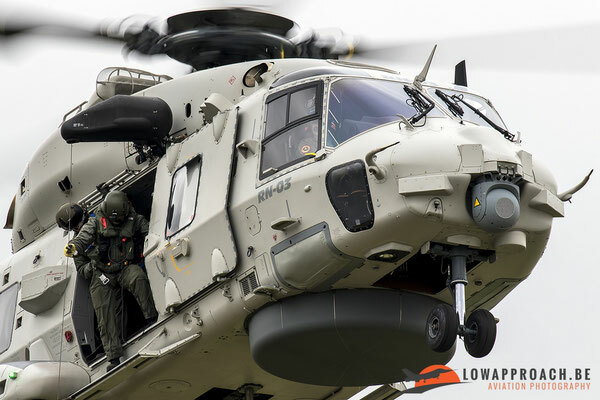 Luckily the location where the winching took place was at the perimeter of the airbase so we once again could make some nice pictures, although the weather wasn’t as nice as during the spotters day. 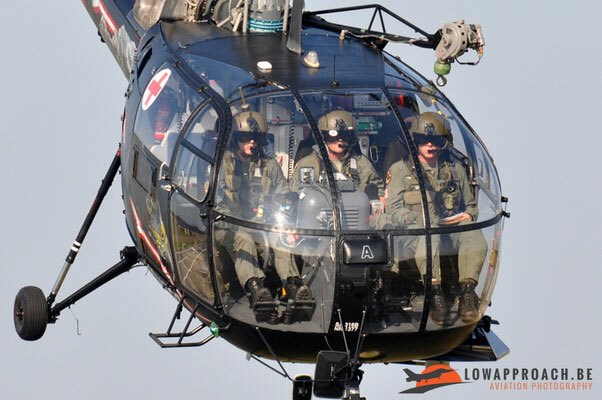 At the end of the day we were treated on a formation flight from all participating helicopters. 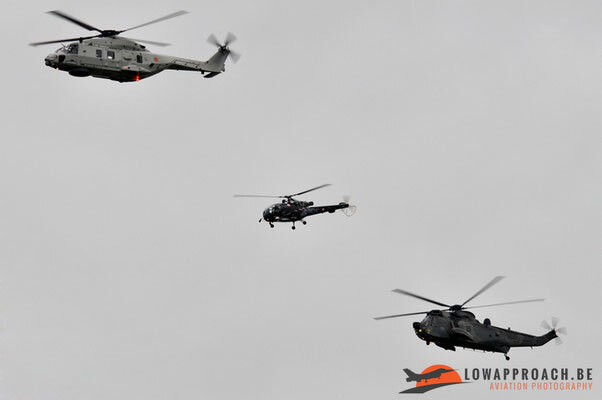 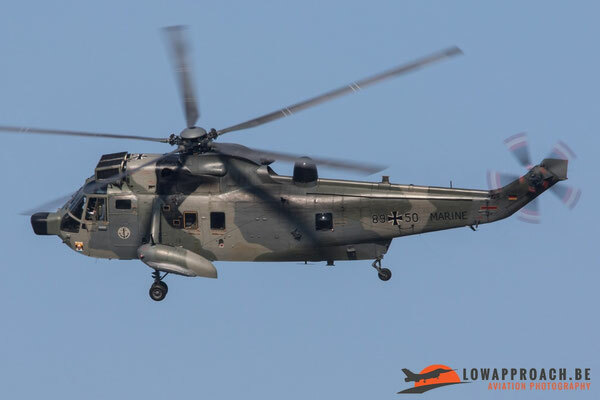 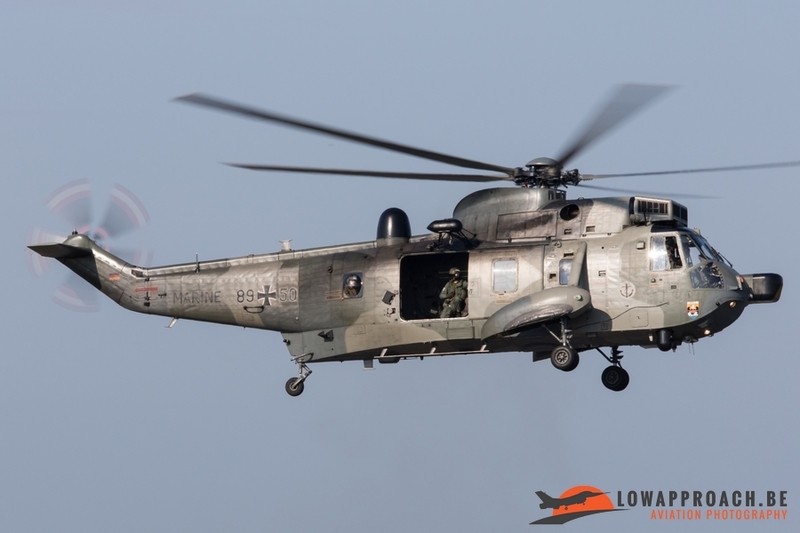 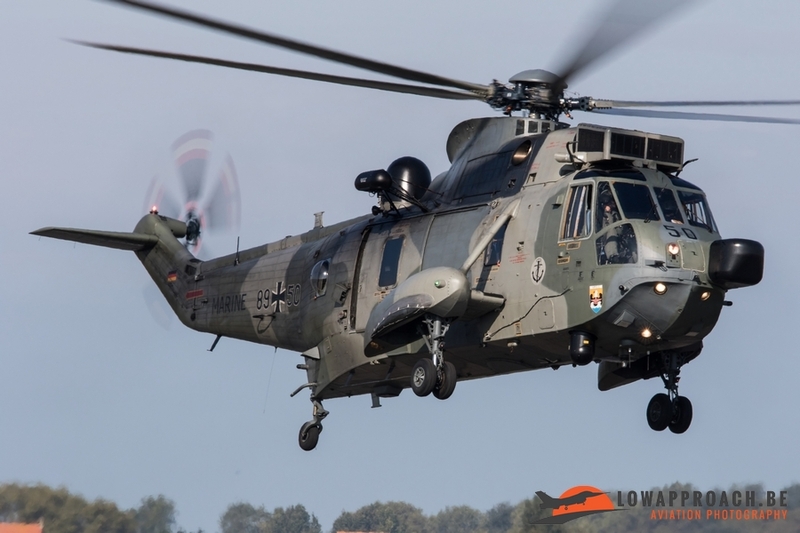 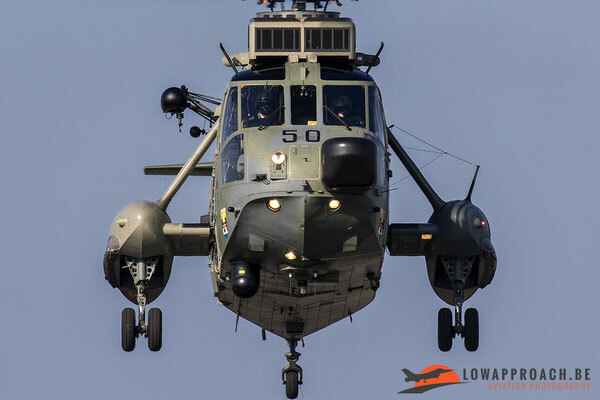 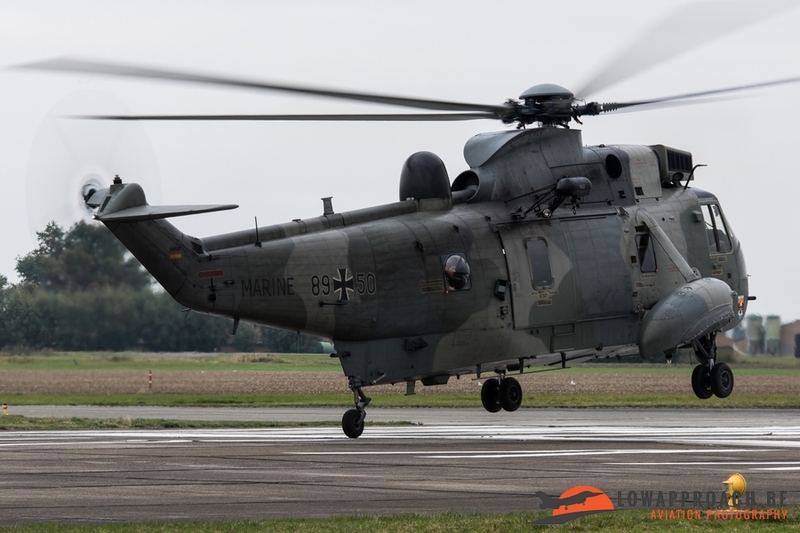 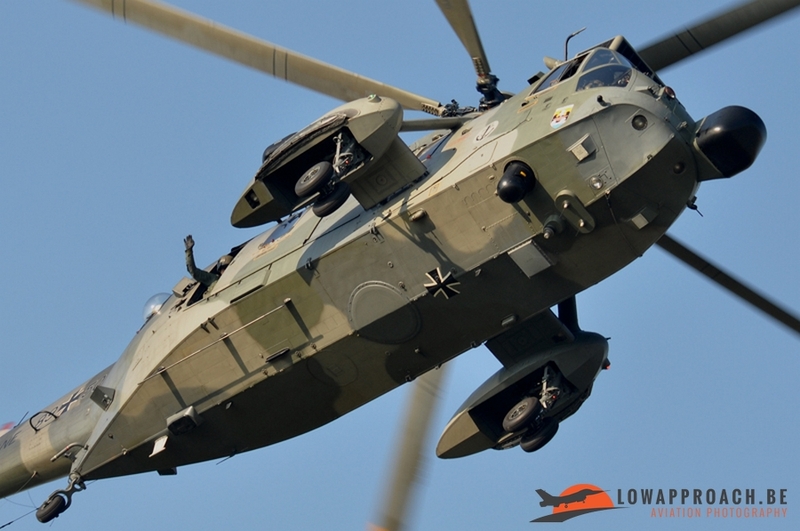 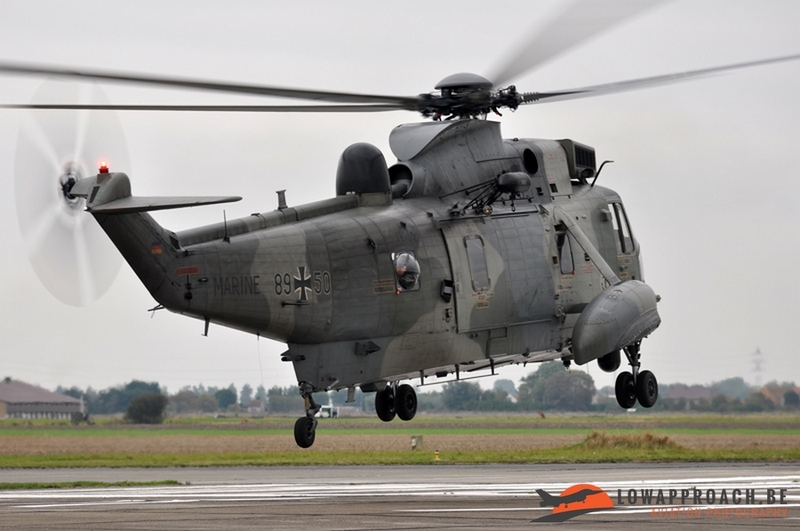 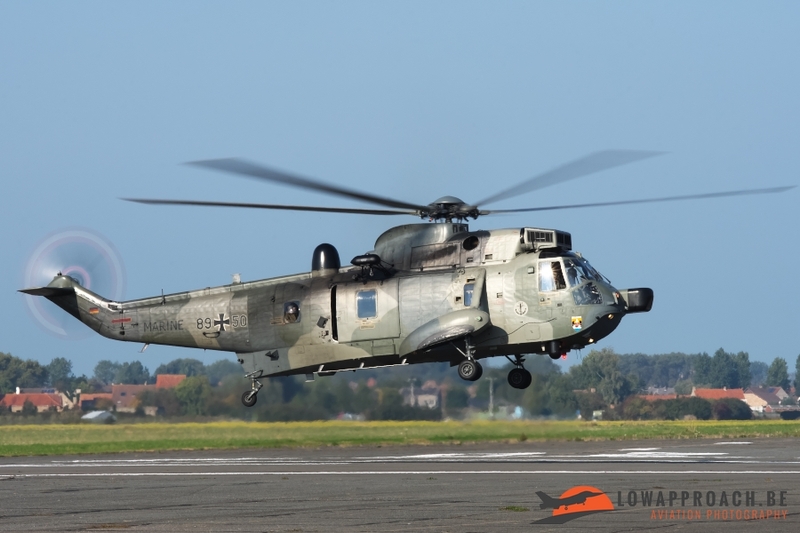 They flew a couple of passes over the airbase in various formations and then the Austrian Air Force’s Alouette III and the German Air Force’s Sea King Mk.41 broke away and the Belgian NH-90, Sea King and Alouette III performed another couple of formation passes. After these passes the Sea King and the NH-90 landed and shortly afterwards we were treated on another formation pass. 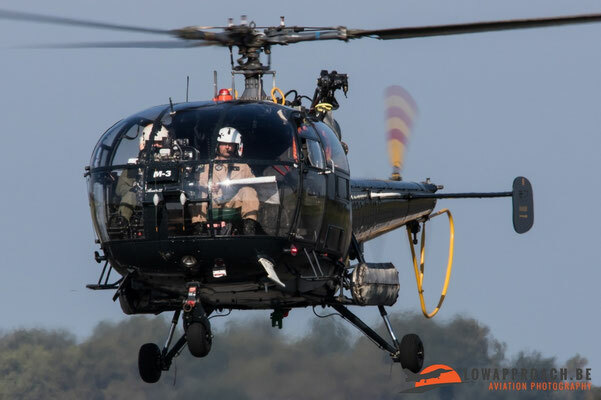 This time from the Belgian and Austrian Alouette III. 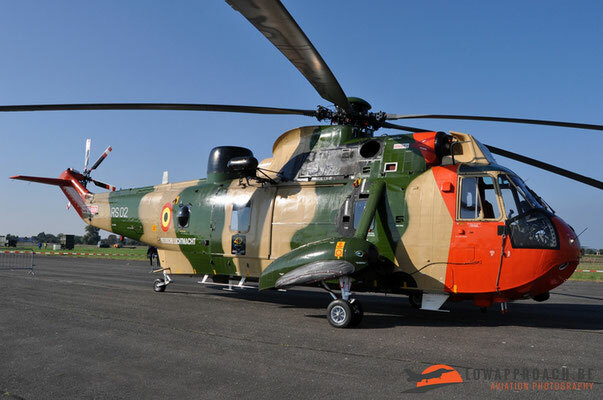 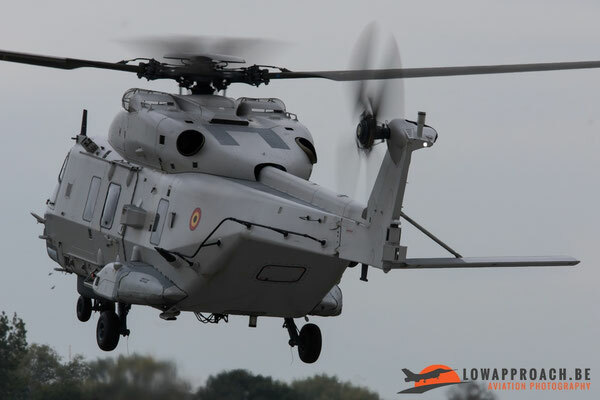 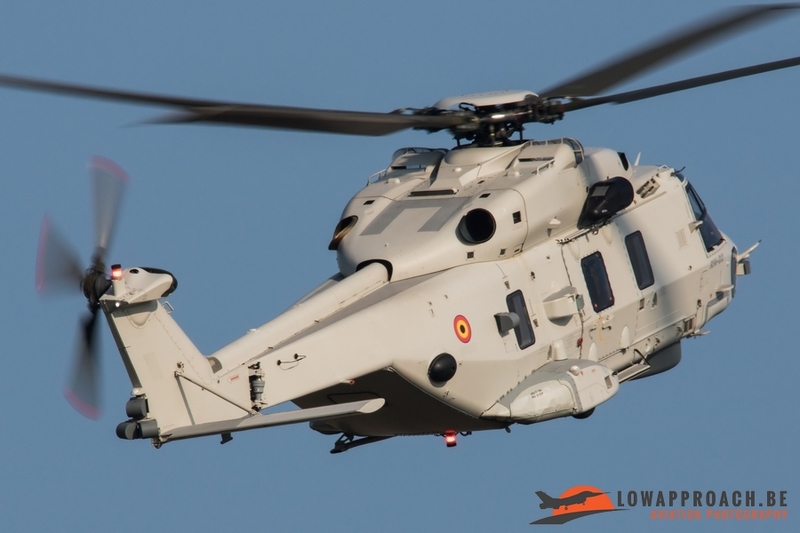 The reason for this was that, besides the 40th anniversary from the Belgian Sea King, it was also the 45th anniversary for the Alouette III in Belgian service. 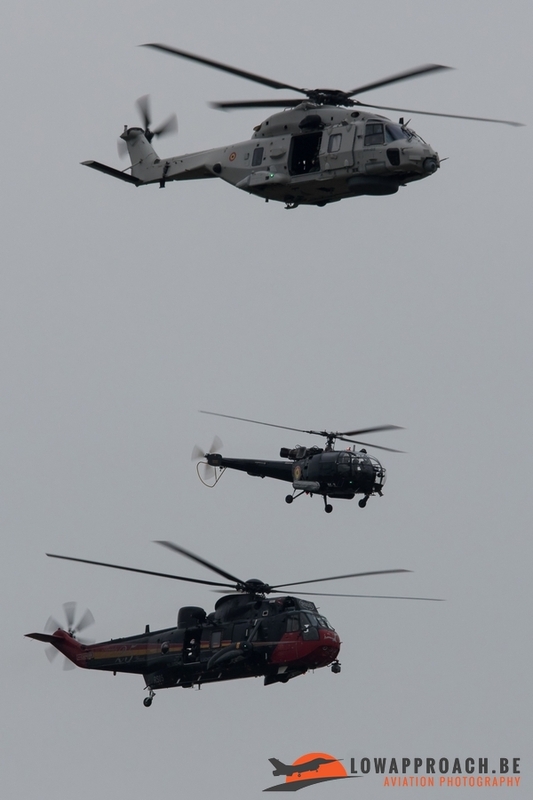 After these helicopters landed it was also the end of the flying part of the SAR-meet. And Wednesday evening we received the message that the overall winner of this year’s SAR-meet was the crew from 40th squadron which flew with the Sea King Mk.48. This year’s SAR-meet was, despite the last minutes cancellations, a very interesting event to witness spotter’s wise. 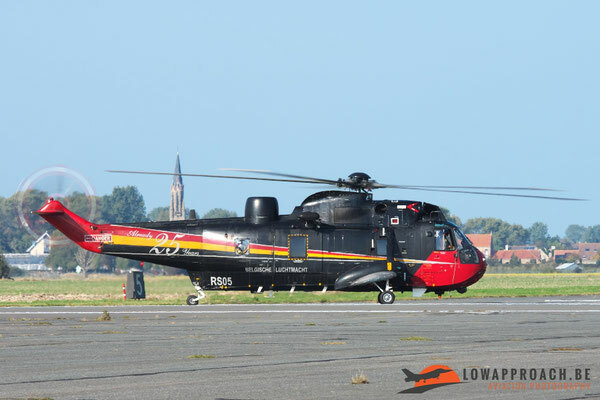 The spotters day that was organized on Tuesday was perfectly arranged, the spotter’s were placed at a very nice place on base, we had the sun in our back for the entire day, the helicopters made some nice passes in front of us so that we could take some great pictures of them in stunning weather and the SAR-demonstrations that were flown were really impressive! 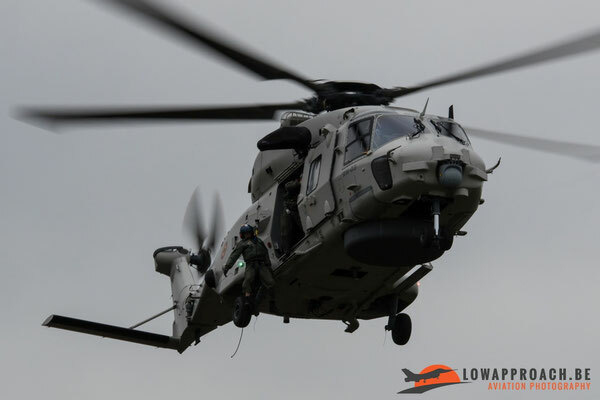 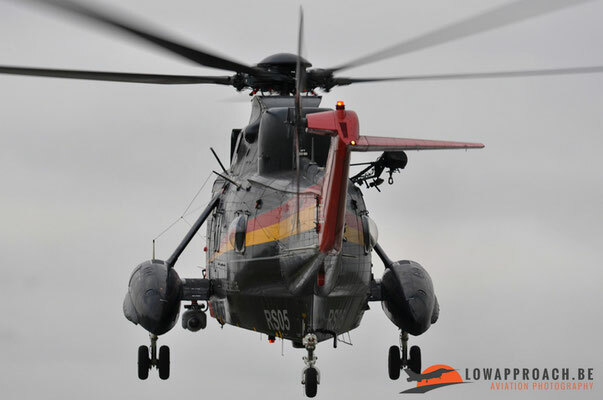 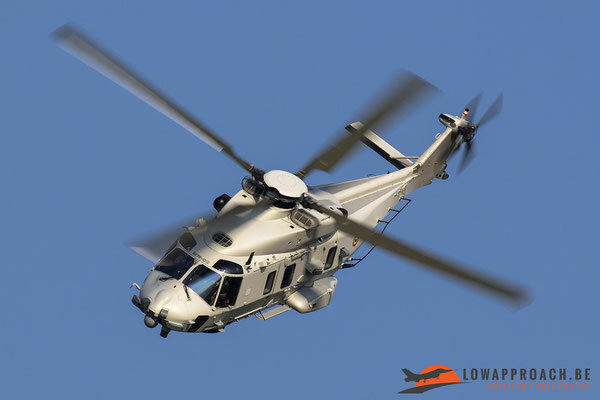 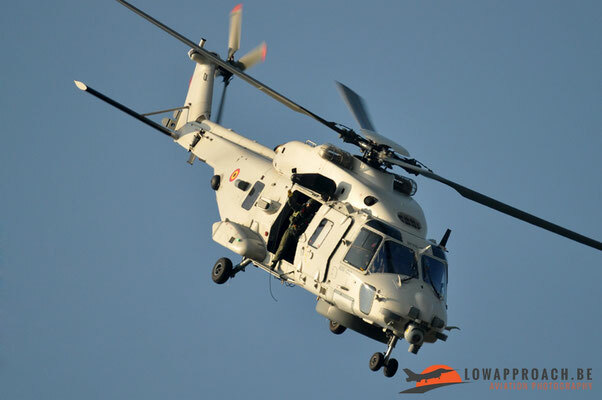 The SAR-meet for 2017 will be held at Nordholz, Germany which is home of MFG3 and MFG5 flying the Sea King Mk.41, the Super Lynx Mk.88A, the P-3C Orion and the DO-228NG.